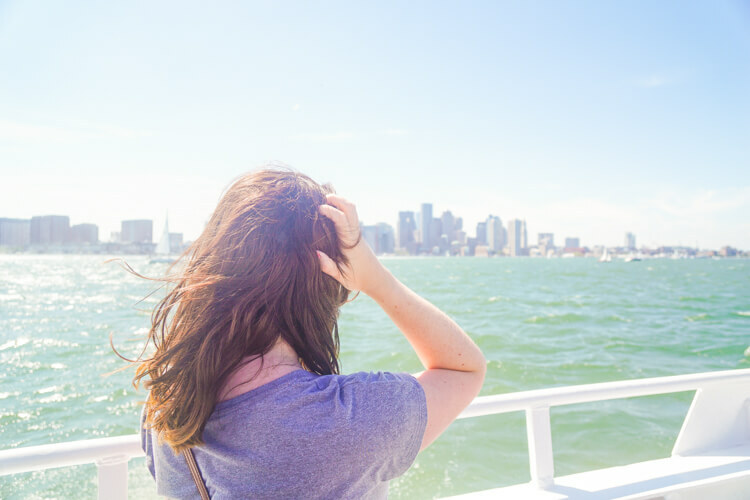 If you’re heading to Boston, Boston Harbor Cruises needs to be on your list of things to do! See the city by water and learn about the historical landmarks and events that shaped our nation! At the end of August, my family made their way to Boston for a short weekend getaway. 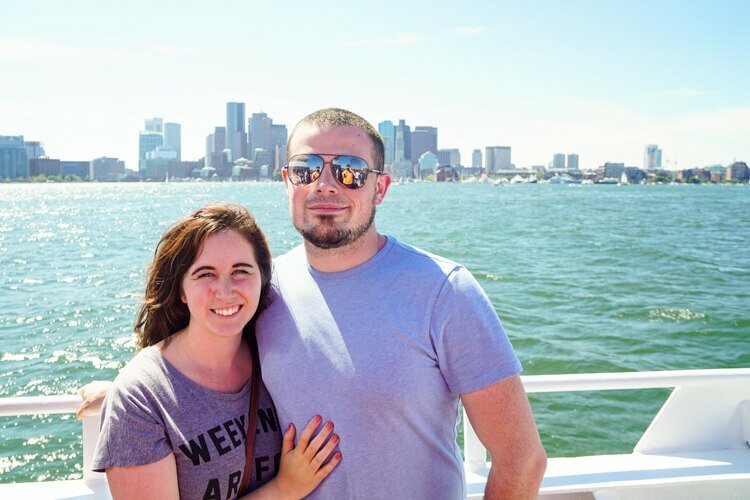 We had a crammed itinerary to make the most of our trip and I’m so glad we made sure a Boston Harbor Cruise was on it! 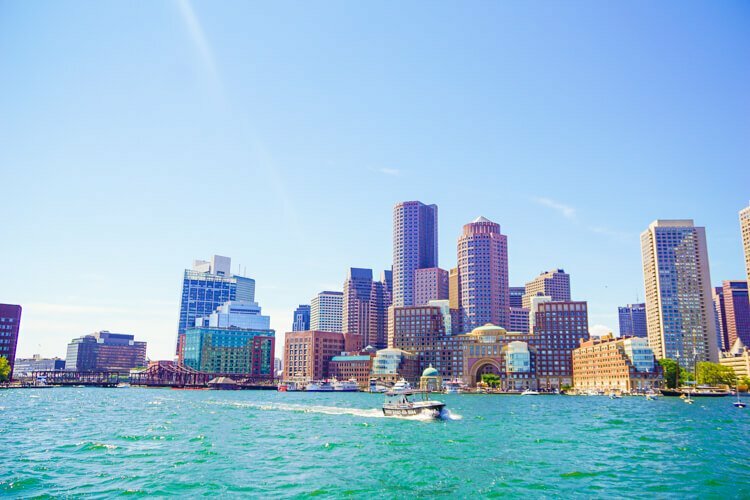 Boston Harbor Cruises offers a variety of tours from Whale Watching to Sunset Cruises to the Historic Sightseeing Cruise that we took and many more. All of the tours depart from One Long Wharf near the New England Aquarium. We arrived at the harbor about 15 minutes before our tour departed and even with a fairly long ticket booth line, we made it on the boat. However, the boat fills up fast and if you want to be up top in the open air, I recommend getting there 30 to 45 minutes early. Even though we missed out on being able to be up top, we were able to get a great spot at the head of the stern and even though we got splashed a couple of times, the breeze was great and the views were beautiful. There’s indoor seating on the first and second floor where you’ll also find a cafe and bar. Since we went on the Historic Sightseeing Cruise, we got a fun history lesson too! The American Revolution is one of my favorite parts of history and even though I’ve learned a lot about it during the years, every time I go to Boston, I learn something new! 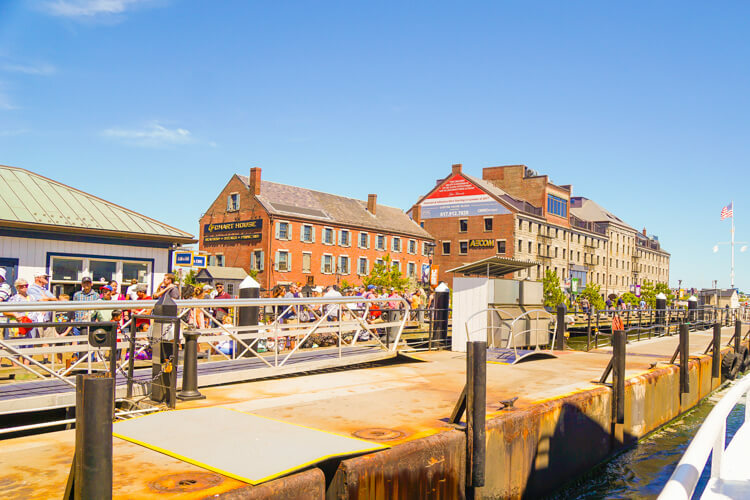 The Boston Harbor Sightseeing Cruise: Boston’s inner and outer harbors are awash in legend and lore. Not to mention beauty. On this fully narrated 90-minute tour, we’ll regale you with heroic tales of the Revolutionary War, local legends of the sea, and stories of characters past and present. You’ll learn how the harbor was transformed into one of the cleanest in the country. 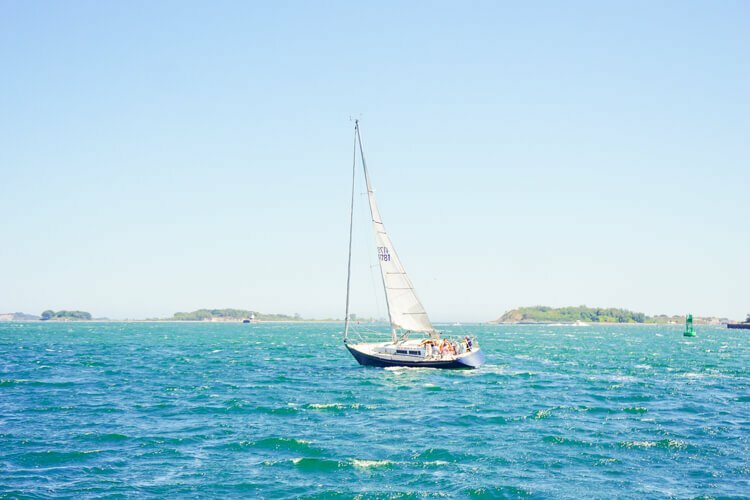 Other highlights include the nation’s oldest continuously manned lighthouse, the Harbor Islands National Park Area, Boston’s working port and examples of extravagant waterfront living. It’s been years since I’ve seen the city from the water, I think I was in fourth grade the last time and it was rainy then, so it was amazing to be able to see it on such a beautiful summer day. Our family actually split up on the boat as most of them wanted to sit inside, but it was really nice to have some time with my husband taking in the city before we split way for the week. 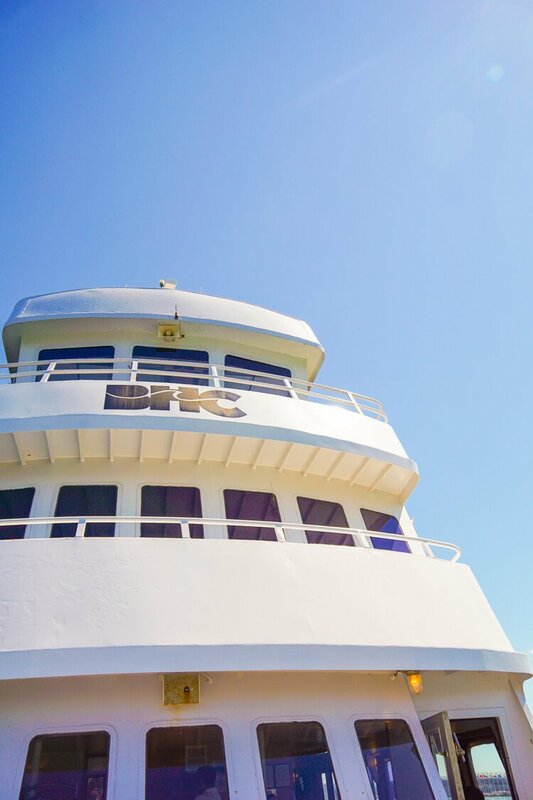 After doing this cruise, I decided it was the perfect way to check out the Provincetown Ferry, I’ve always wanted to go to Cape Cod! And loved that I could take the train from Maine to Boston and then take the ferry to the Cape for the most stress-free way to do it! 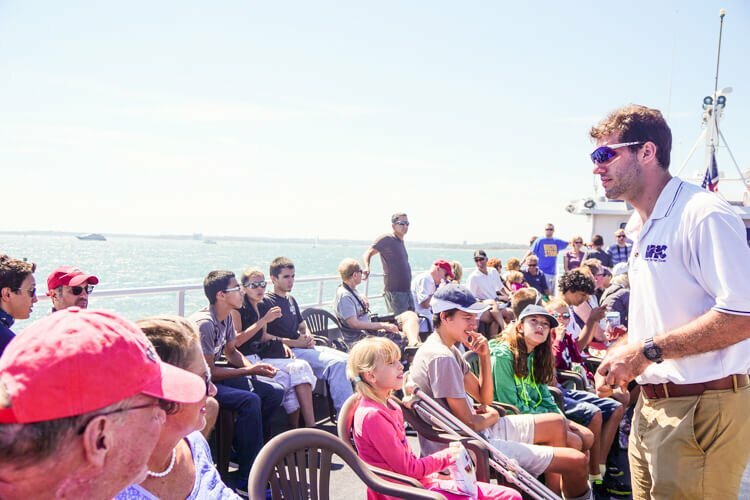 You can find all of the fares and schedules for each cruise on the Boston Harbor Cruises website. 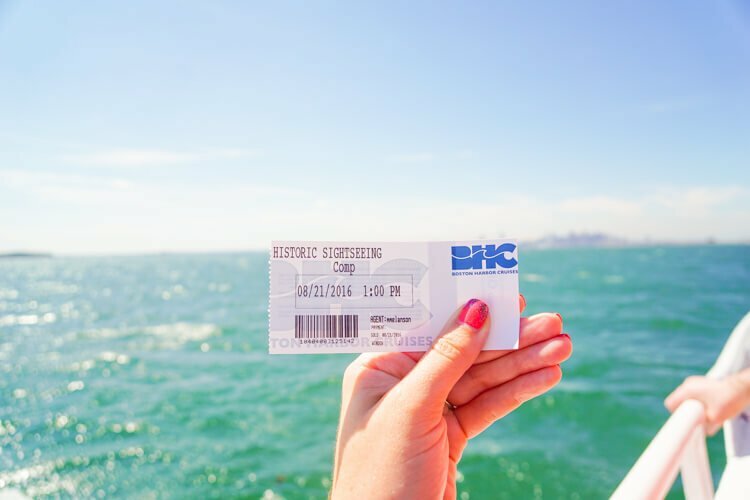 The cruises are also part of the CityPass which is a great option if you’re planning on doing a lot of quintessential Boston. 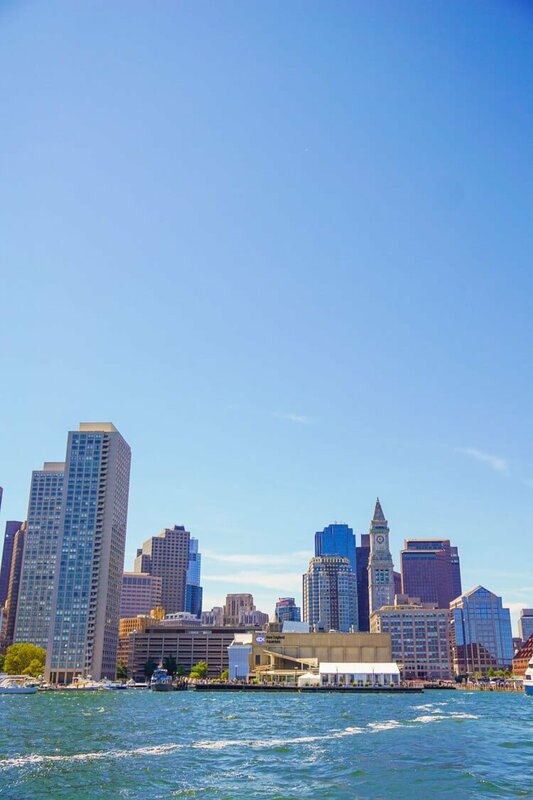 If you’re looking for more great things to do in the City, check out my post on a Weekend in Boston. Have you tried Cod-Zilla? It’s a great fun boat ride, you get cooled off, the crew is amazing! My husband & I went last July & had a great time before the Sox game! We love our state capital!! We haven’t, but saw it and definitely want to go on it next summer!